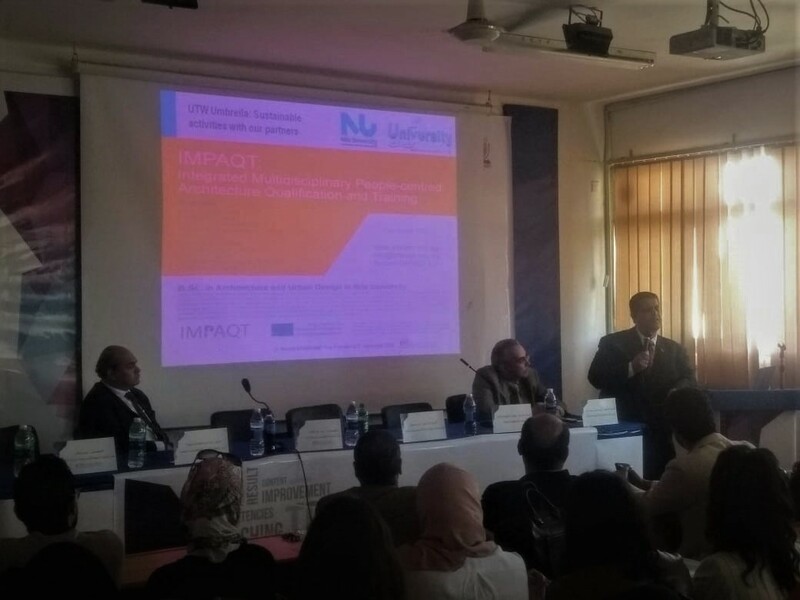 IMPAQT project was presented as one of the sustainable activities ECG is involved in with partners, during their event promoting the UTW (University to Work) program at Minya University. 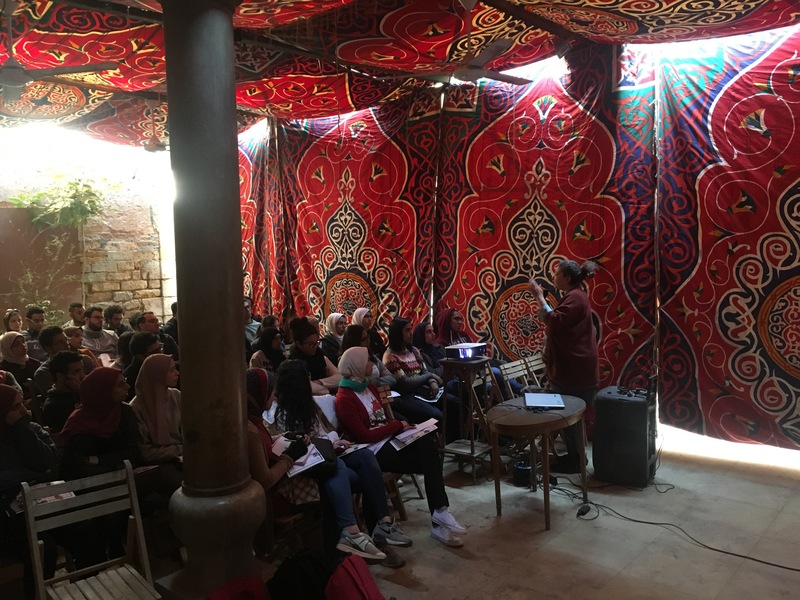 The presentation was attended by approximately 250 students. 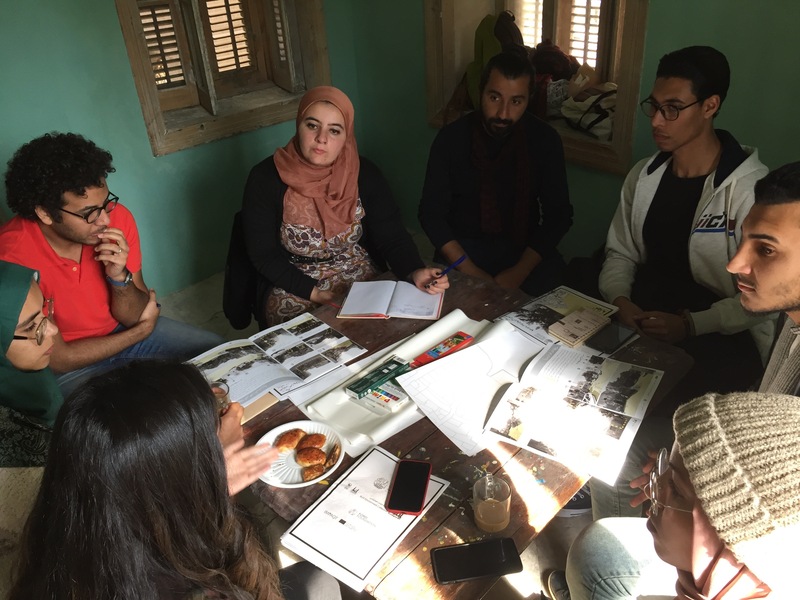 This three-day workshop invited students from Alexandria University, Suez Canal University, and Nile University's new architecture program, as well as participants from an open call to collaborate to develop innovative design solutions to study the public spaces in Historic Cairo. 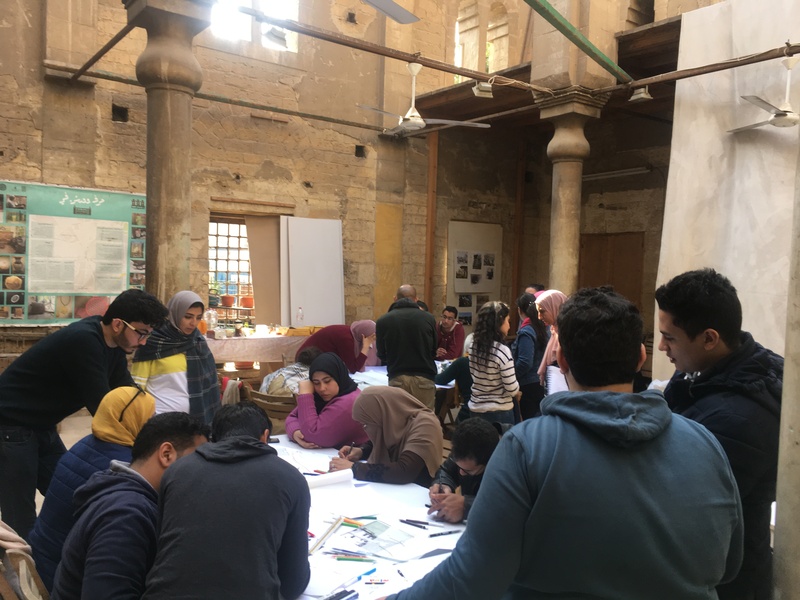 There were 50 participants who worked in groups to study different areas of Historic Cairo: ‎1-‎ Zaynhum: Public housing district of Zaynhum, ‎2-‎ Al-Hattaba: Historical area that is classified as Category 2 informal area, ‎3-‎ Al-Khalifa: Historical and residential area. 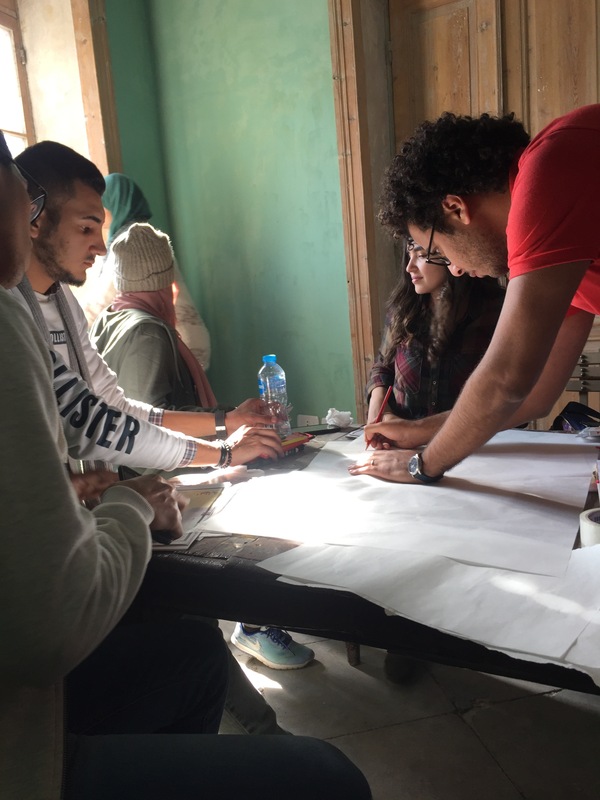 Workshop activities included presentations and guided tours of the areas, specific group lectures, site visits and field work, internal presentations, design sessions, internal feedback session, and final presentations where experts were invited to attend. 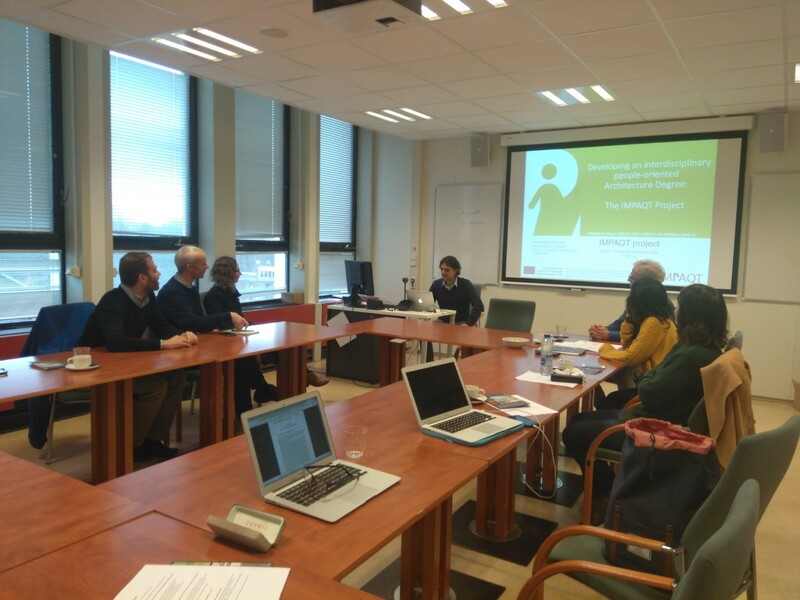 In the weeks that followed the workshop, two interventions were implemented based on the workshop outputs and additional research. 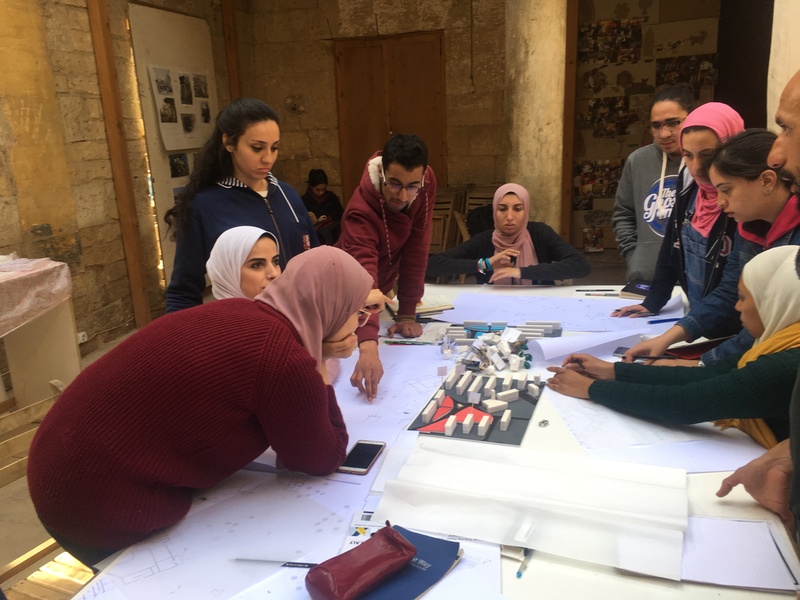 The workshop attendees were the Board Members of IAPS (International Association of People-environment Studies), which is a prestigious multidisciplinary association whose members are mainly environmental psychologists, architects and urban planners. 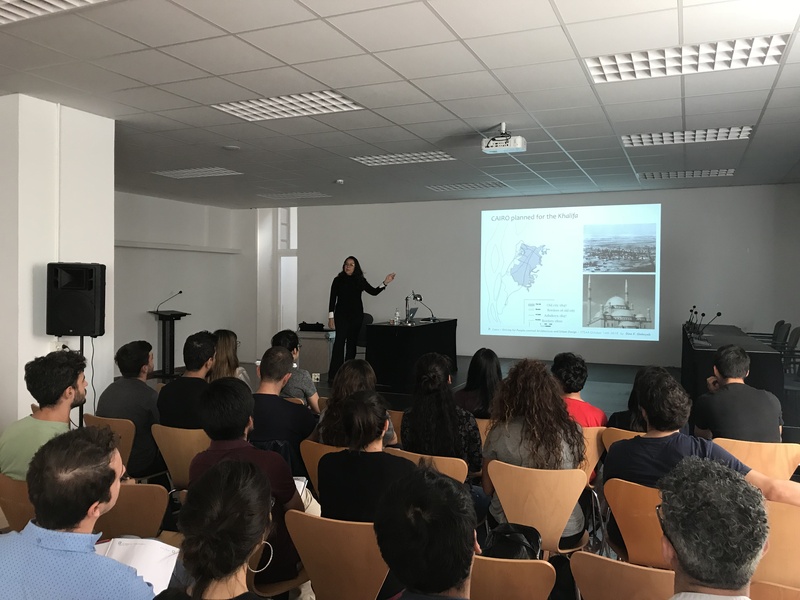 IAPS runs its Conference every two years (next one will be held in Quebec, Canada, in 2020), attended by about 500 participants in the last years. 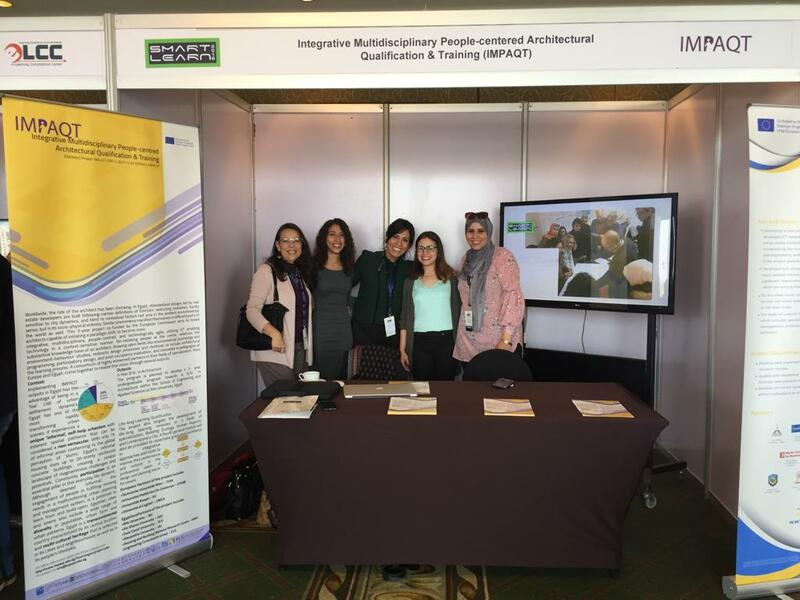 The aims and mission of IAPS fit very well with the perspective of the IMPAQT Project, since both (IAPS and IMPAQT) embrace a multidisciplinary and "people-centered" view. 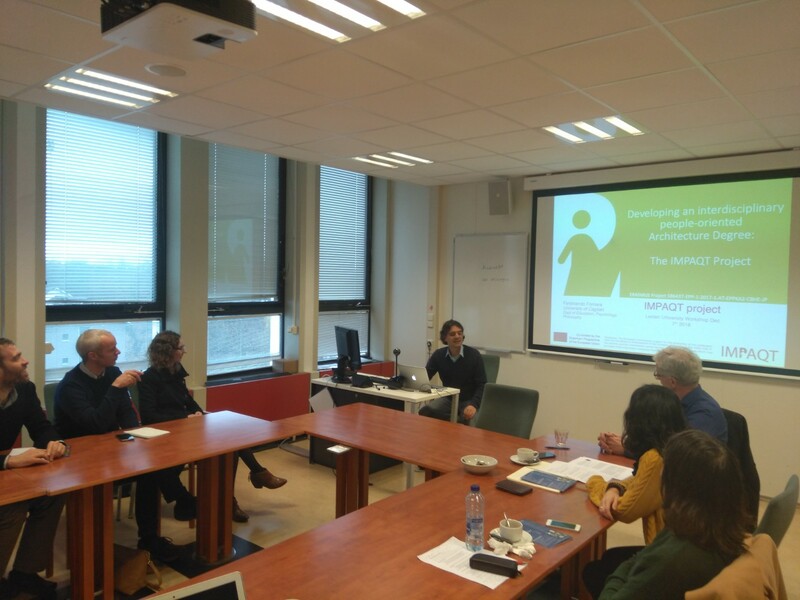 Thus, the dissemination in this workshop of the IMPAQT proposal had the function of promoting it as a possible model for other universities at international level (present IAPS Board members are in fact from European, African, and Central and South American universities). 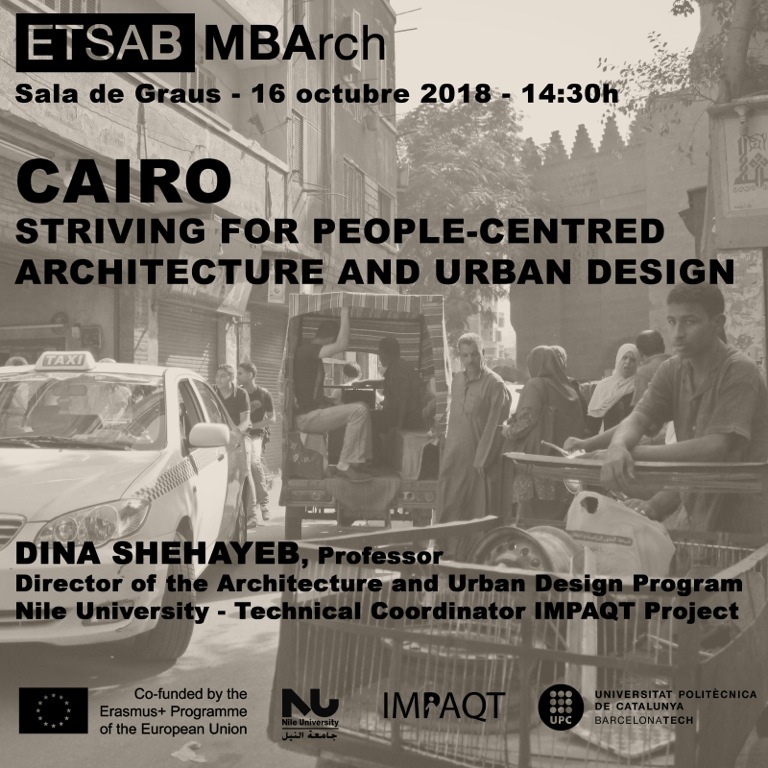 Swedish Group is a company based in Cairo, Egypt that is uniquely specialized in providing architecture and interior solutions that can substantially improve the indoor environments and interior spaces of public use buildings. 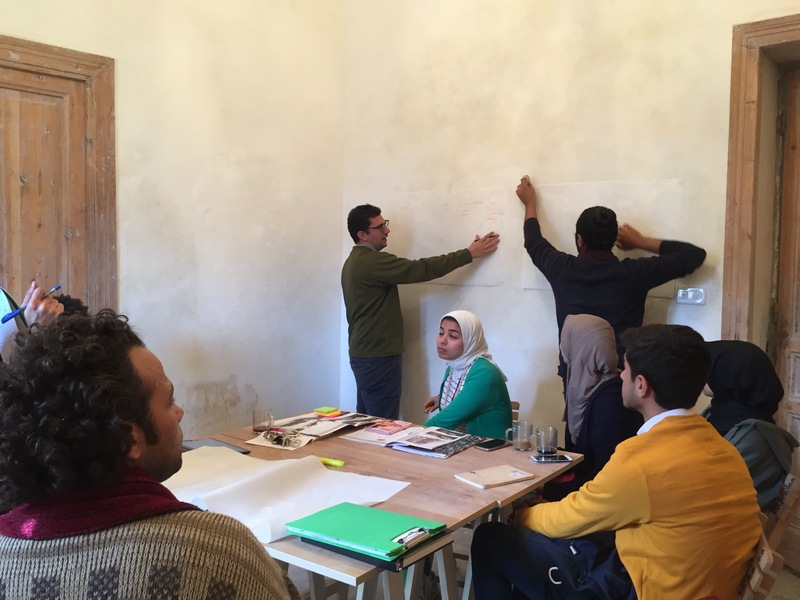 Swedish Group organized an event called 'Beyond Designing with Lines'. 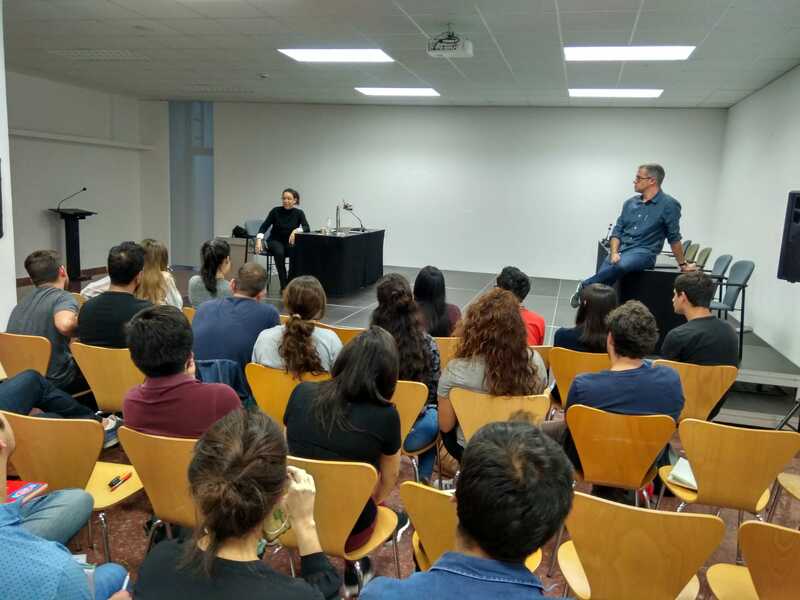 The event served to know about the different products of the company as well as to introduce IMPAQT to the Swedish Group team for possible collaborations. 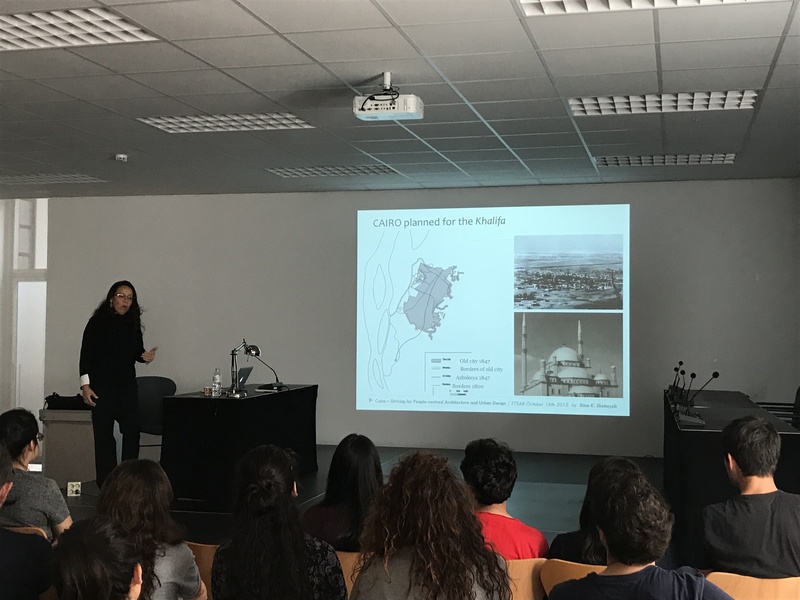 During the WP4 and WP5 meeting that took place on October 15th to 19th, 2018, at ETSAB in Barcelona, Spain, between Technical Coordinator of IMPAQT (NU) and ETSAB team in Barcelona; Dissemination for IMPAQT was carried out through a public lecture to graduate students and a presentation to faculty members. 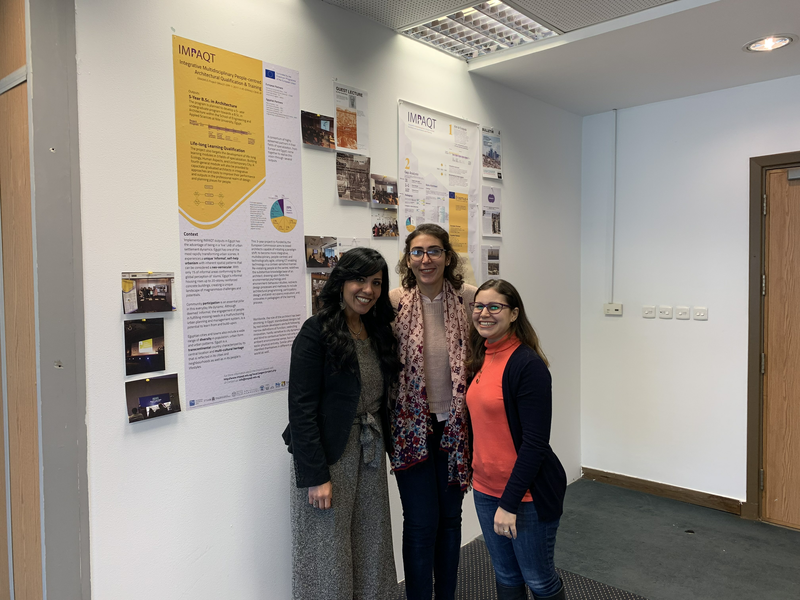 IMPAQT project participated in the two-day event as one of the ERASMUS+ Projects with a booth for the project including a roll-up and flyers. 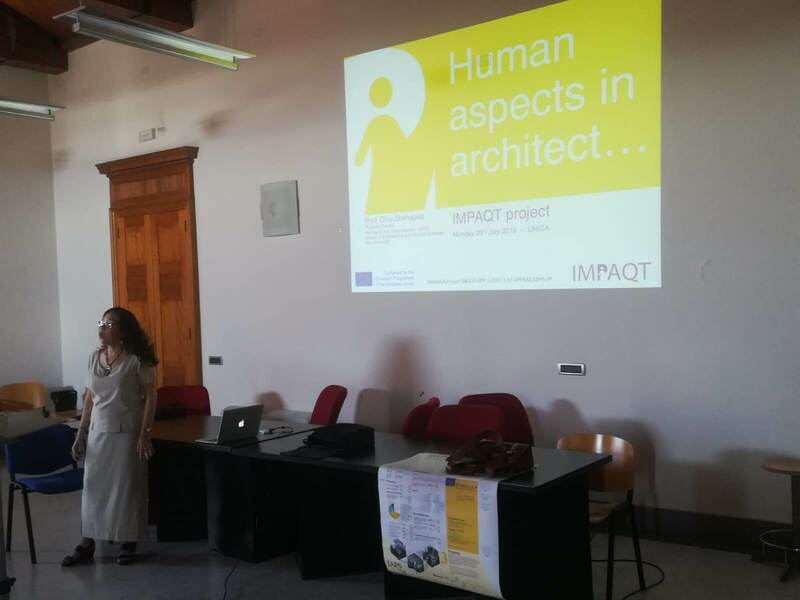 In addition, IMPAQT participated with two presentations; one presenting the project and the other one presenting the ICT tools in Architecture education. 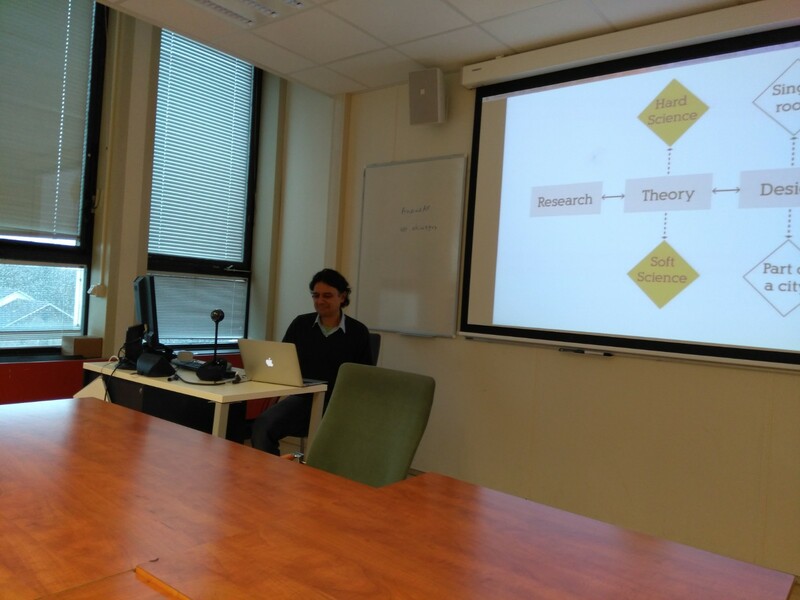 The former editor of the IAPS bulletin, Ricardo Garcia Mira, kindly published a 1000 word article about IMPAQT project in the September IAPS bulletin issue. 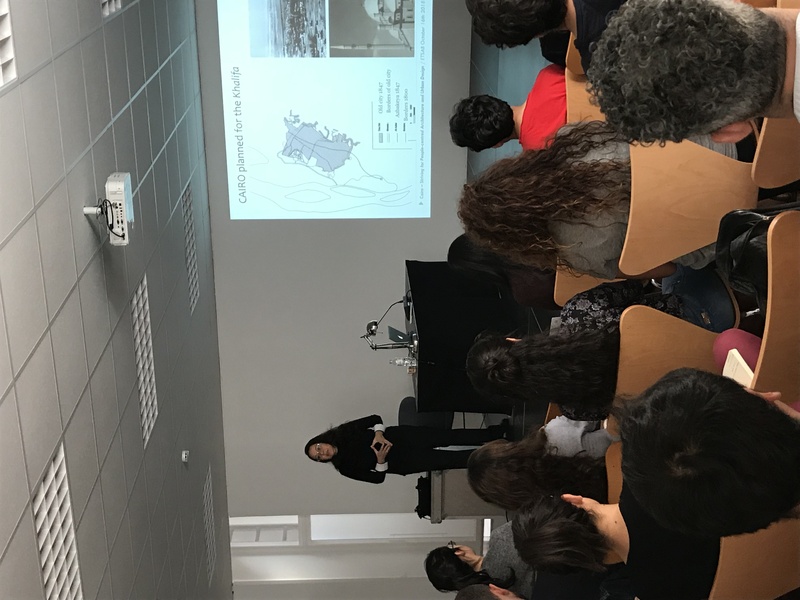 IAPS, the International Association for People-Environment Studies, was formed officially in 1981, but with intellectual roots dating back to the ‘60s in the architectural psychology movement. 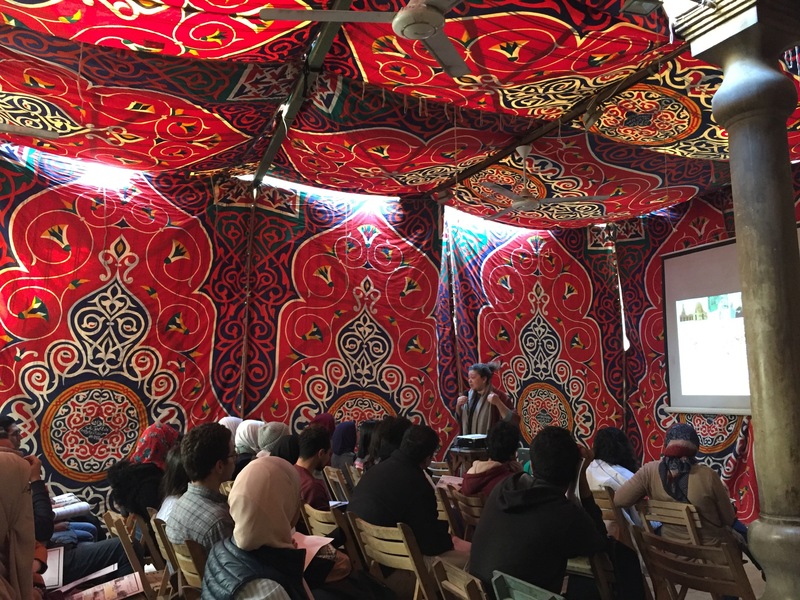 IAPS is a multidisciplinary association gathering researchers and practitioners from around the world, with a shared interest in people’s interaction with their environment. 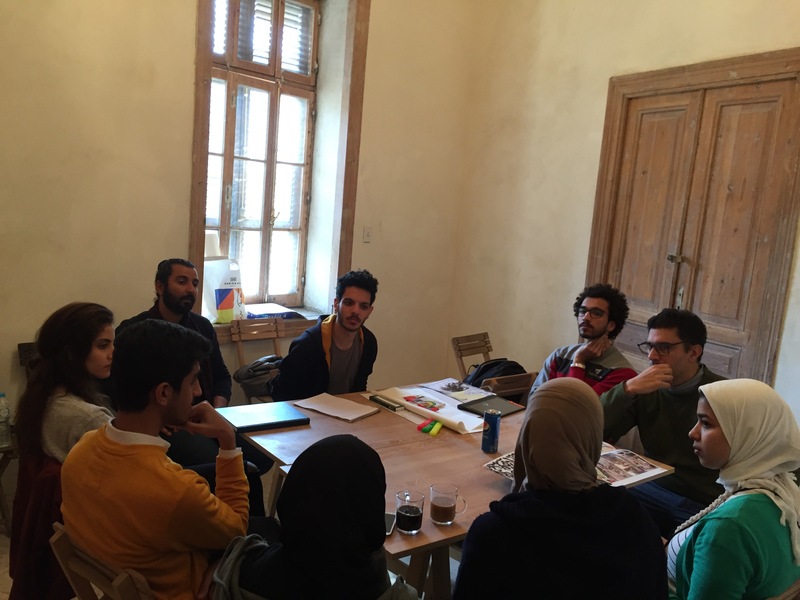 Psychology, sociology, geography, architecture and planning are only a few of the disciplines represented. 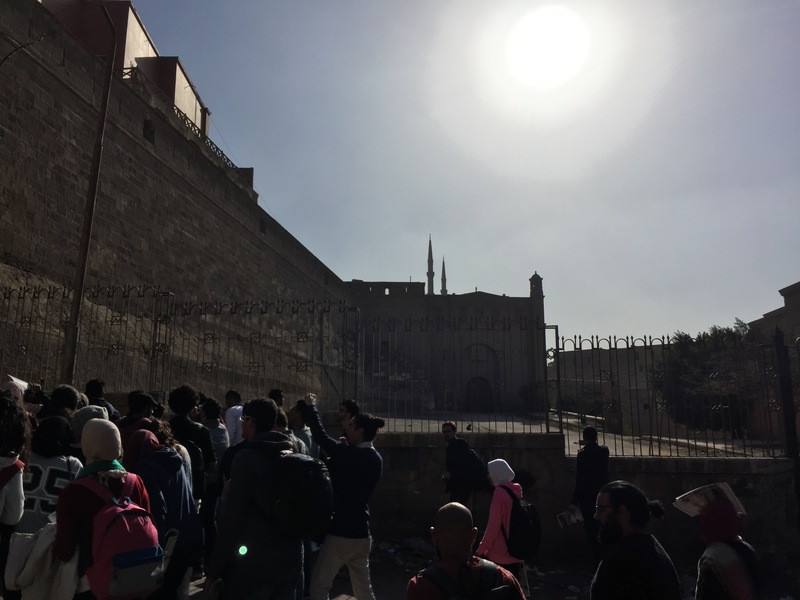 IAPS serves both as a platform for disciplinary discussion and collaboration for its members who are engaged in both theoretical and applied research, as well as practice and have links to policy making. IAPS. The ceremony for the graduation of the UTW students took place on Monday, September 10th, 2018. Students graduating this round were 500+ students covering different engineering specializations including architecture and interior design. Key invitees included the Minister of Trade and Industry, representative of the Minister of Social Solidarity, several of UTW sponsors such as the Rotary, and CSR contact persons from the industry such as Skib, Schneider, and Siraj companies, as well as academics from various universities. The event also included the parents of the 500+ graduating students. 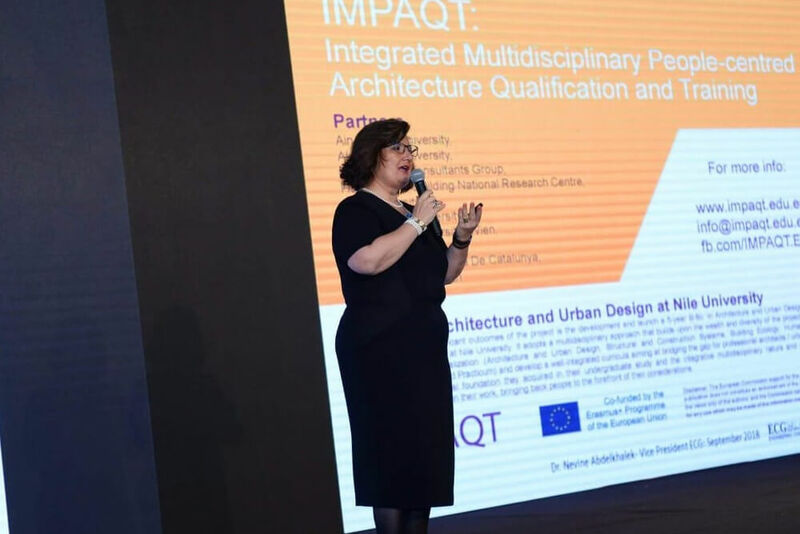 Vice president of ECG and UTW founder and program manager, Dr. Nevine Abdelkhalek, presented the IMPAQT project as one of ECG’s prized partnerships claiming that this project will result in an undergraduate program at NU whose graduates will not need UTW program...; that is that NU Architecture and Urban Design program (output of IMPAQT project) will fill the gap that UTW targets. 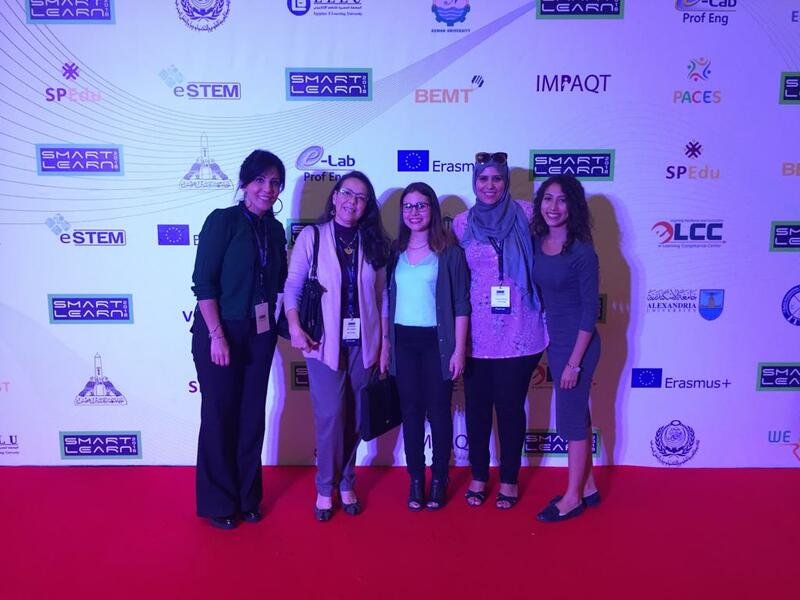 She explained that this will be possible through the responsibility of ECG, as partner in IMPAQT, to integrate UTW expertise into the 5-year program as practicum to many courses in addition to a few stand-alone courses. 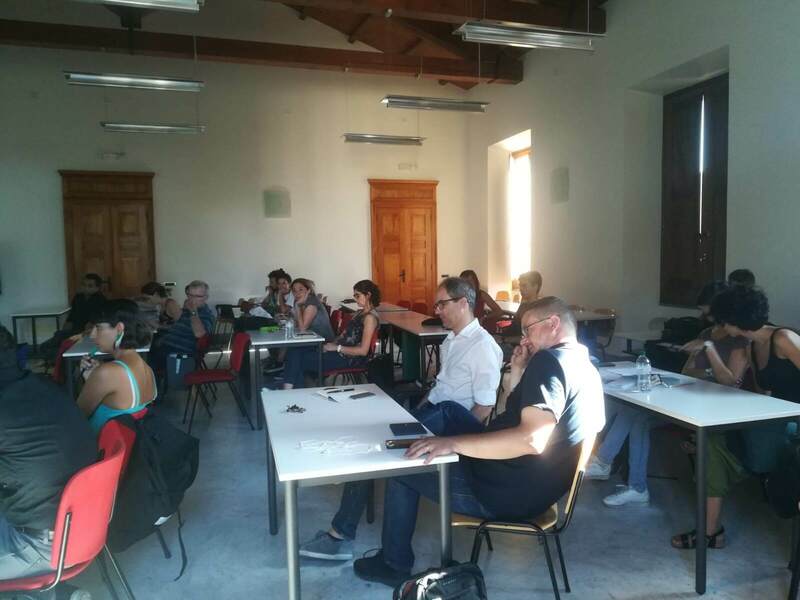 During the WP7 meeting that took place on July 19th to 24th, 2018, at UNICA in Cagliari Italy, between Technical Coordinator of IMPAQT and Director of the ARUD program at NU, Professor Dina Shehayeb visited and partner Professor Ferdinando Fornara from the Department of Pedagogy, Psychology, Philosophy of the University of Cagliari, an IMPAQT dissemination event was organised by Professor Ferdinando Fornara where faculty and graduate students from the Department of Civil – Environmental Engineering and Architecture at UNICA were invited to hear about the ERASMUS+ co-funded project. 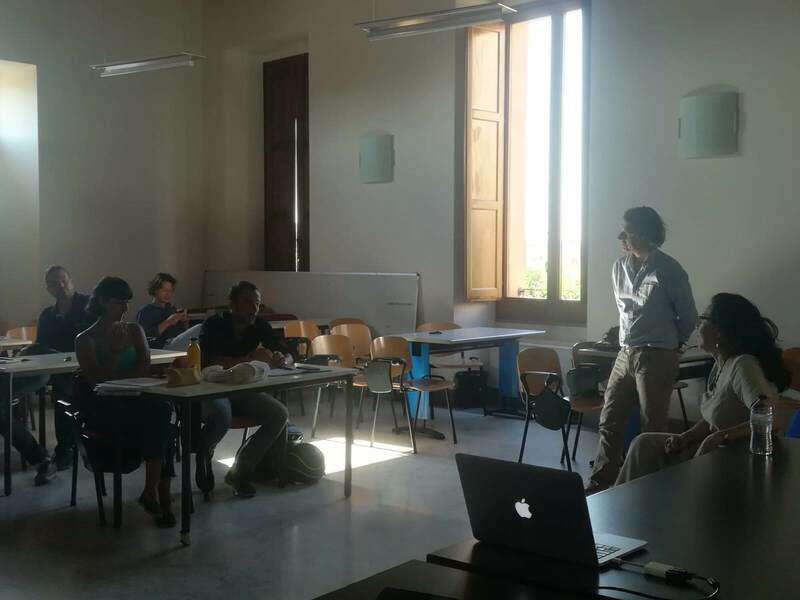 The outcome was discussions regarding the possibilities of mutual benefit including academic exchange and potential collaborative activities of different forms; workshops, summer schools, visiting lecturers…etc. UNICA announced the event on its website and the after effect was deemed positive by both partners (NU and UNICA). 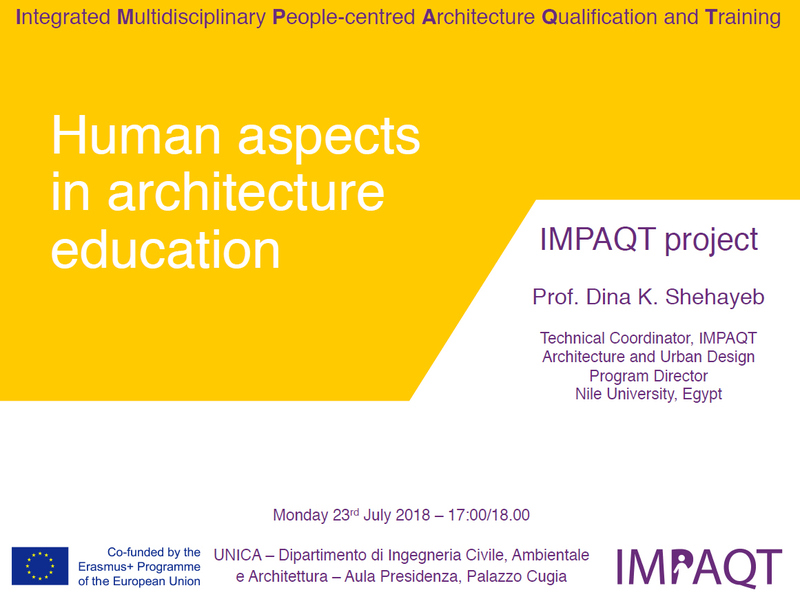 IMPAQT was successfully introduced to IAPS members this summer through an entry (poster exhibit) in their 25th IAPS Conference that was held in Rome, Italy on July 8-13, 2018. Our partner colleague, Ferdinando Fornara, who was recently elected IAPS Board Member, kindly presented the poster. 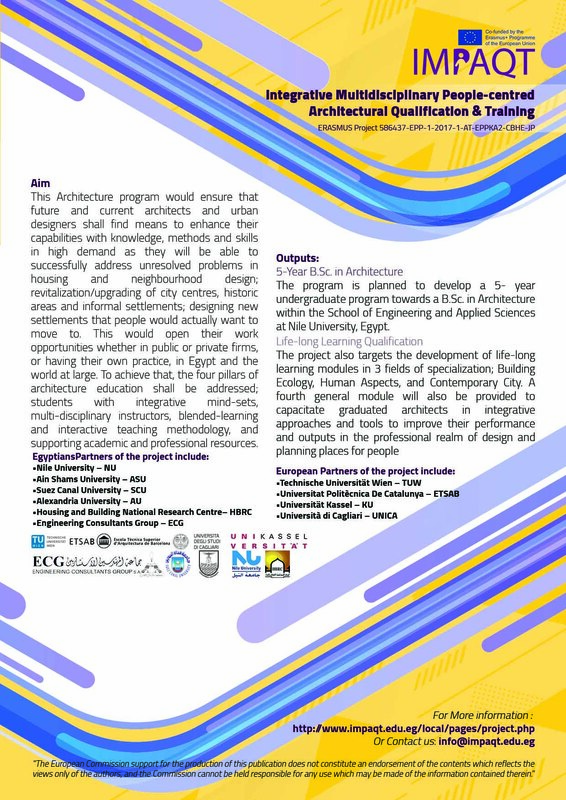 The poster included a brief description of the project; its aims, outputs, and timeline as well as the results from the empirical study and gap analysis that were conducted in the project’s initial stages. 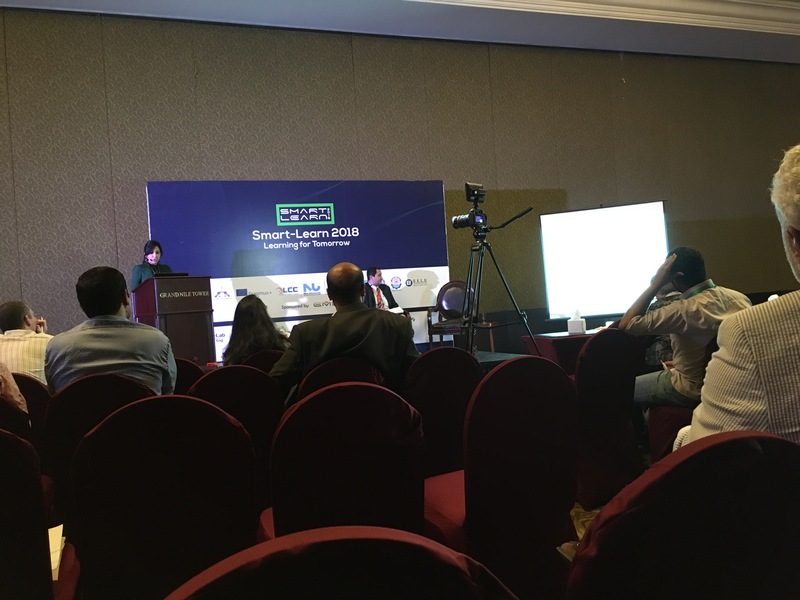 It was well received and several prominent IAPS members showed interest to know more about the project and to explore venues of collaboration. 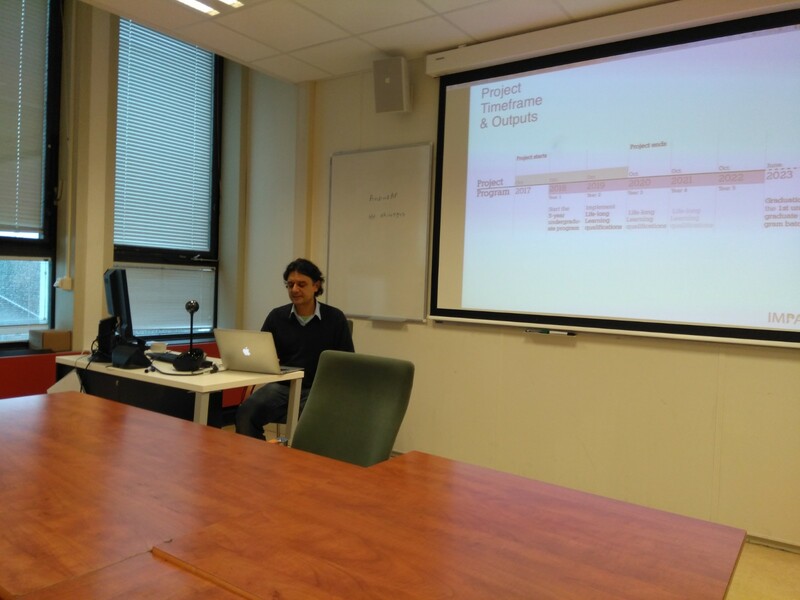 The Editor of the IAPS bulletin, Ricardo Garcia Mira, will also kindly include a 1000 word article about IMPAQT project to be published in the forthcoming IAPS bulletin issue. 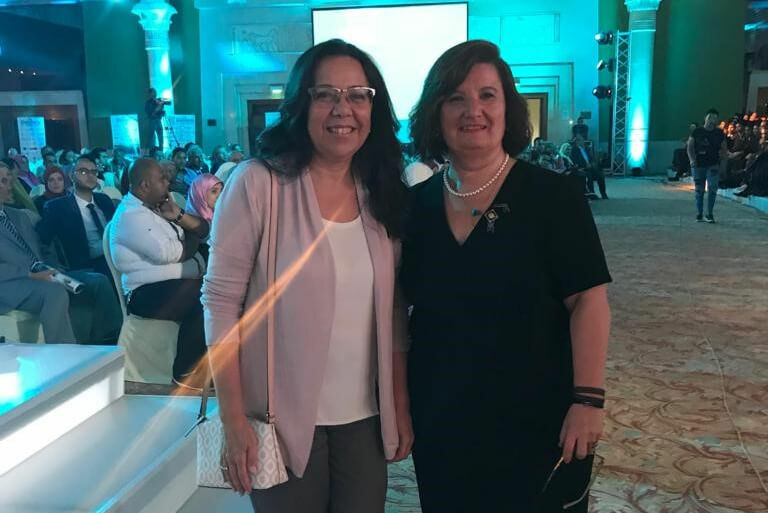 ECG Vice president and UTW Founder Dr. Nevine Abdelkhalek and H.E. Ex- Minister of Higher Education and current Secretary General of the Arab Universities Federation Dr. Amr Ezzat Salama witnessed the opening ceremony of the 10th Round of University to Work (UTW) Program held Sunday June 24, 2018 at City Stars Intercontinental. 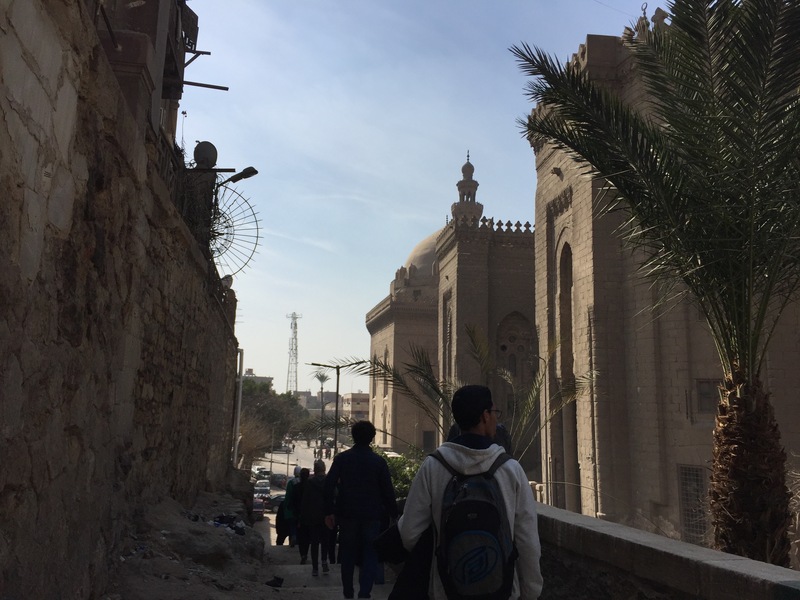 The 10th Round of UTW targets 590 Engineering students from different Egyptian Universities. 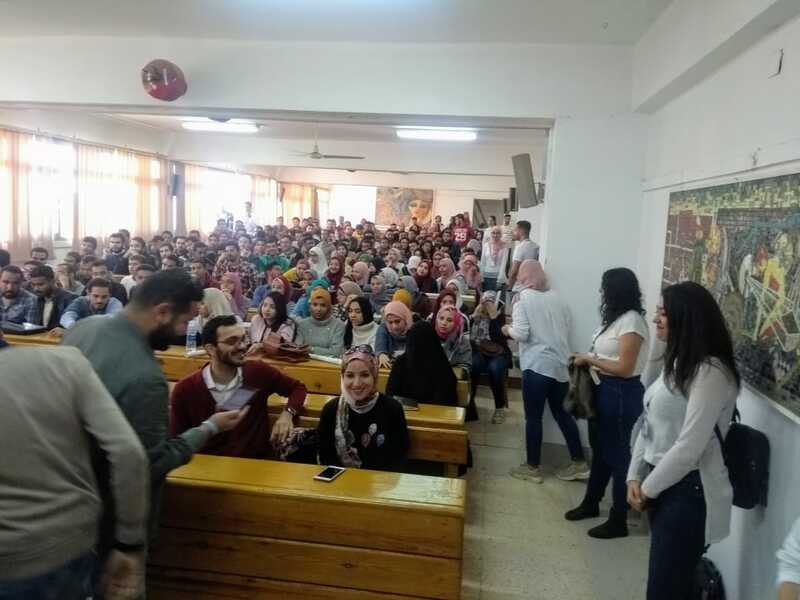 In an interview conducted by EBA Member Mr. Mohamed Montasir with Dr. Amr Ezzat Salama, he talked to the UTW students about his success story and urged young engineers to invest their time in long life learning and promote their entrepreneurship skills.